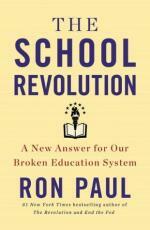 The most recognized libertarian of our time, Ron Paul, details what he sees an inevitable path to an education revolution. According to Dr. Paul, the public education is going to be bombarded by rival choices, and the use of the internet will make this a certainty. Dr. Paul says this will make public schools better than ever as they will be forced into competition with homeschooling, charters, and private schools. Jim Collins, author of Good to Great, writes again about why some organizations thrive and others collapse in Great by Choice. Though the book is primarily written for businesses, all organizational leaders, including school leaders, can glean insight into decision making in a turbulent environment. No Easy Day by Mark Owen is an account of the mission that took down Osama Bin Laden from one of S.E.A.L.s on the mission. More than that, Owen walks the reader through the life and mind of an American warrior in one of the most prestigious elite fighting forces in the world. Now running for President of the United States, Senator Rand Paul discusses his plans for the future of America and American politics in Taking a Stand. Paul discusses issues from healthcare reform to auditing the Fed to how to get Democrats and Republicans to work together for the good of the country. The all-time MLB hit leader is not in the hall of fame. The man who has more hits than Ty Cobb and earned the name "Charlie Hustle" because of his work ethic and desire, is banned from baseball for betting on games. The book is a confession of that gambling. Time will tell if it's enough to get him enshrined at Cooperstown. General George Patton died under suspicious circumstances shortly after combat operations ceased after the Second World War. He was America's most audacious general, and O'Reilly chronicles Patton's role in the end of the war, the vehicle accident that would ultimately kill him (perhaps), and the final days of his life. And of course, possible questions of foul play. Grisham brings back the memories of Friday night glory for the generations of football past. 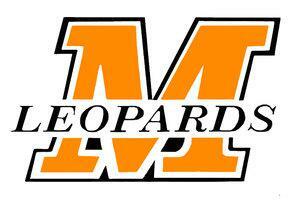 The book excels at tapping into the emotion, both fondness and regret, of former high school football players. Grisham uses a broken hometown legend to draw these emotions out of the characters, and in turn, the reader. Grisham knocks it out of the park with Calico Joe. The story alternates between present time and flashbacks, seamlessly tying in the stories of one boy watching his father's anger and meanness end one of the most promising young baseball careers in history with a fastball to the head and as a man, forcing his father to face his victim eye to eye. Step aside, Captain Jack Sparrow. The true exploits of privateer legend Henry Morgan are even more fantastical than your own. Readers come away viewing Captain Morgan with a sense of awe. If you read this book, you may come away believing as I do that Captain Morgan is the coolest dude that ever stepped foot on a boat. One of the most successful football coaches of all time puts his keys for success on paper in a way that is entertaining, easy to understand, and keeps you turning page after page. While he uses football as a backdrop, he clearly defines how these tools are applicable to all people, regardless of age or profession, to be successful. Maximum Ride flies full throttle from the first page to the last. It's action and science fiction and awesome all rolled into one. Ages 10 to 100 can enjoy this thrill ride with a heroine that is as cool as the air in which she flies. And better yet, it's a series. After you fall in love, you have more books to add to your Christmas wish list. Peretti provides the quintessential fiction book on spiritual warfare with This Present Darkness. With all the elements of a horror classic, the book is also classified as Christian fiction and mystery. The imagery of Angels and demons will stick with you long after you put the book down. 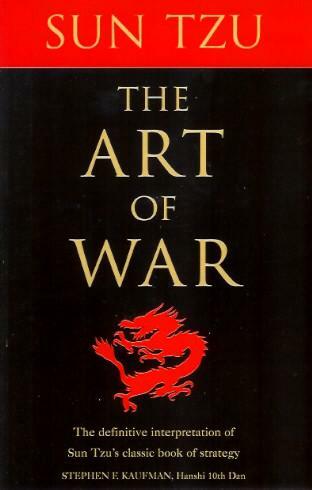 The Art of War is arguably the most influential military philosophy ever written. Compiled over 2000 years ago, the philosophy has been applied to nearly every profession or hobby that pits one side against another. As such, Sun Tzu continues to heavily influence modern day sports, business, and leadership strategy. Bret Hart's autobiography was everything I wanted it to be and then some. It showcased some of my wrestling heroes from the 1980's and 90's, sometimes in ways that disappointed me. It is the most honest book out there about the sports entertainment industry, the good and the bad. The Hitman holds nothing back! Tolkien created the fantasy genre as we know it today. The Hobbit is the prequal to the Lord of the Rings series, and in my opinion, the best read of the four books. The movies are great. No dispute here. But as good as the movies are, the books have that little something extra- imagination. The best director, the best CGI crew, and the best actors can't out-produce your mind! Without a doubt, Mikaelson wrote my favorite coming of age book. But, Spirit Bear is more than just that. It's a book of redemption, of forgiveness, and of accepting responsibility. It is a book of hope, beating the odds, and beating your circumstances. Mikaelson does all of this under the backdrop of a cold island and its foreboding wilderness. It's just one teenage boy in isolation with that wilderness and the territorial white bear that calls that island home.